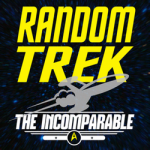 Random Trek is an audio podcast in the Incomparable podcasting network. The idea is simple: two people watch a randomly selected episode of Star Trek and then talk about it. A couple of weeks later a podcast appears. No episode of Random Trek will be longer than the episode of Star Trek being discussed. Star Trek: The Animated Series is not included. 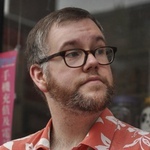 Scott McNulty hosts Random Trek. He’s been watching Star Trek forever and is a huge fan. He owns thousands of Star Trek The Customizable Card Game cards, lots of Star Trek odds and ends, and doesn’t look good in a Starfleet unitard.